Truthfully – it’s hard — really hard, but if you allow your circumstances to dictate your attitude it’s almost impossible. We believe you can Choose Your Attitude and that choice is the most powerful decision you can make each and every day. A positive attitude will ultimately produce gratitude, and grateful people are statistically happier, healthier, live longer and experience more peace in their lives than negative people — despite their circumstances. So, when we recognized that attitudes (both positive and negative) were contagious we knew we had to do something. As promoters of the Always Positive® message our mission is to unite, ignite, mobilize and brand a worldwide positive attitude lifestyle movement through a social initiative that inspires people and organizations to Be Positive, Do Positive and Live Positive. Movements are held together by the people who share the same vision and values. 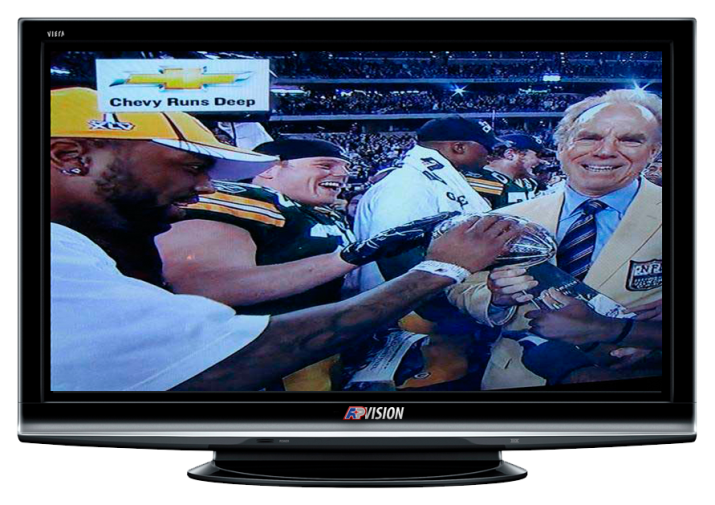 Behind any great movement are the individuals and organizations who passionately believe in the mission. The real power behind Always Positive is a Positive Force® of individuals and organizations that choose to use their time, talents, treasures and influence to inspire others to adopt the Always Positive lifestyle and motivate them to make a positive difference in their community. 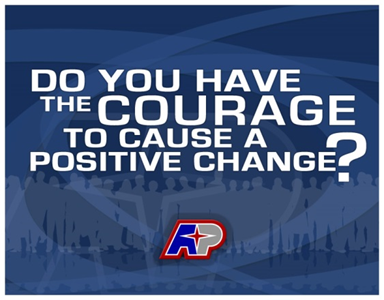 When successful, these “change agents” become a powerful force; a Positive Force in the fight against negativity. We believe a global positive attitude lifestyle movement is already happening. We didn’t create it; we just named it after we recognized it’s already alive in the hearts and minds of millions of people around the world living it daily – just waiting for a banner to rally behind. In response we created Always Positive to help brand the movement as a message of hope for positive people and organizations. Always Positive is much more than a slogan; it’s a way of life where hope and encouragement become tangible and contagious and the place where people make the choice to be positive…ALWAYS. Always Positive lands on hands of Champions! 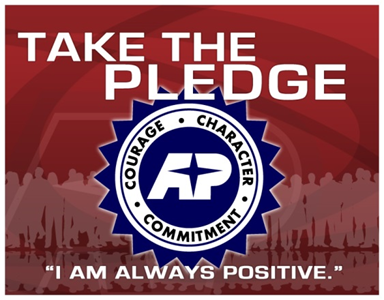 Always Positive Pledge: I believe in the power of a positive attitude and possess the courage to cause positive change. I will exhibit humility when I triumph and strong character when I fail. I will begin every day with a sense of gratitude for my gifts and the desire to use them to their fullest. I will end every day with the satisfaction that I gave it my all. When I fall short, I will respond with integrity and determination to improve. I will strive to inspire others to adopt a positive attitude as I commit my talents and influence to have a positive impact on the world I touch.